Barton Croft was born out of a love of honest, functional, well-designed objects and a passion for artisan quality goods. Drawn to simple lines and finishes, and with a love for cooking, their collection of ceramic tableware is earthy and yet effortless. Their philosophy is that the eye should be drawn to your meal rather than the vessel it is served on, and so the ceramics are consequently refined and simple, designed to accentuate rather than detract. 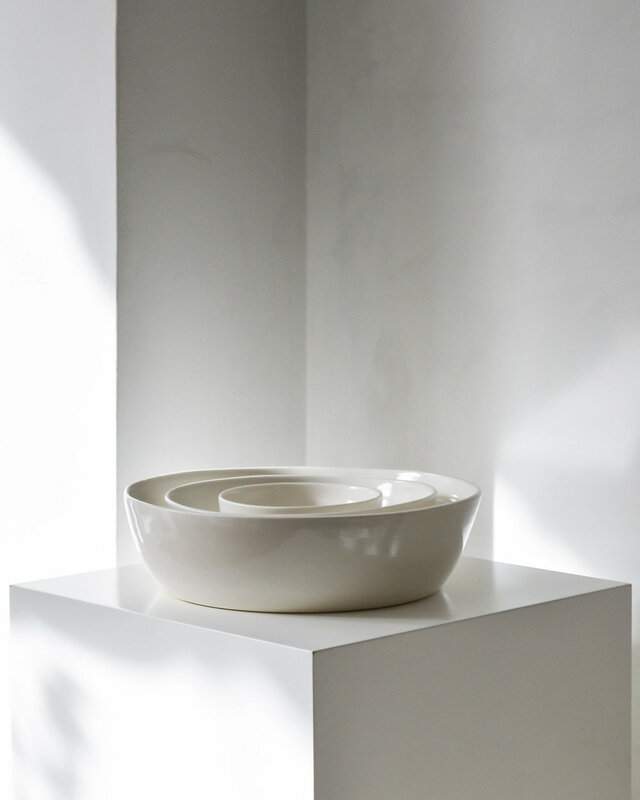 Made with the finest clay, a special hybrid of porcelain and stoneware, each item is meticulously produced by hand in the studio in Hampshire, UK.